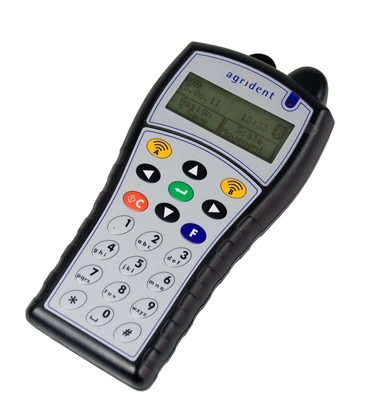 This handheld ergonomic PIT reader with USB interface, fits into your pocket and the tough splash proof housing (IP64) makes it ideal for use in fish labs, aquaculture or in the field. It combines an ISO 11785 RFID reader with programmable Hotkeys for easy data collection. It offers an alphanumeric keypad, a graphical display, a large memory, USB in a very robust and ergonomic IP64 housing. The reader can be used with an external stick antennae for one-hand operation. 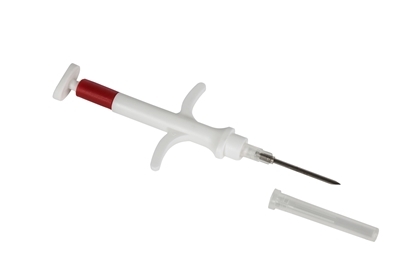 Disposable syringe needle implanter for injection of PIT tags in fish or other animals. The implanter assembly consists of a hollow syringe needle and a spring-assisted plunger to release a single tag after piercing through skin etc. This external waterproof and 0.6 m long stick antenna allows one-hand operation of the PIT reader and a simple solution to read transponders that are somehow difficult to reach. The optional antennae is connected to the back of the PIT reader to enhance the operation range and making data capture more convenient. This docking station makes data transmission and recharging of the PIT reader more convenient. The USB connection of the docking station provides an easy connection to any computer system.